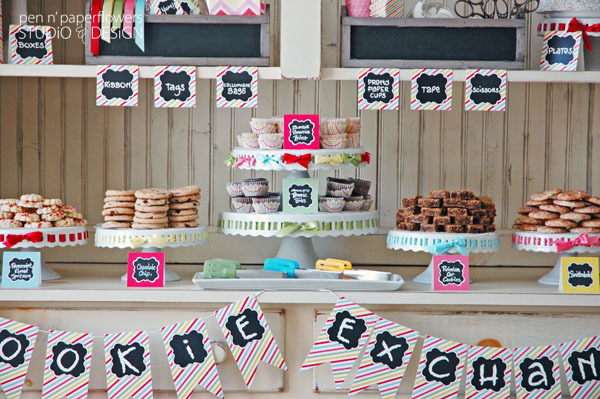 here are the full details from the Cookie Exchange I styled for The Party Dress Magazine - Holiday 2012.
will give you the extra push you need to gather your friends/family together for some Holiday fun. 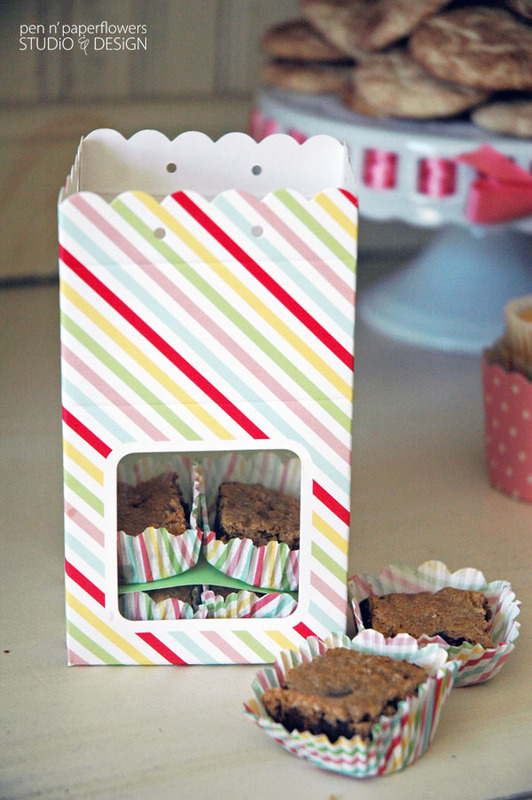 with the tools needed to creatively package up homemade treats for holiday gift-giving. 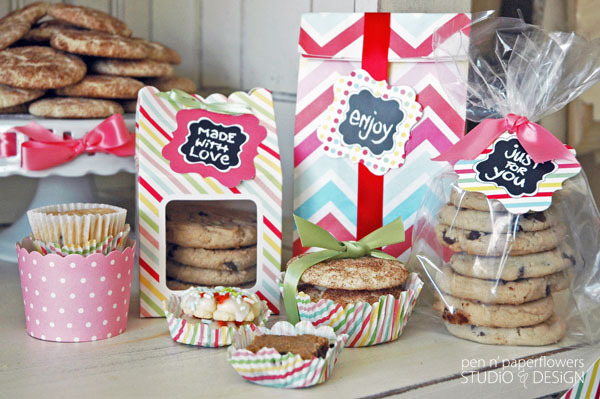 You provide the essentials for creatively packaging up the cookies. 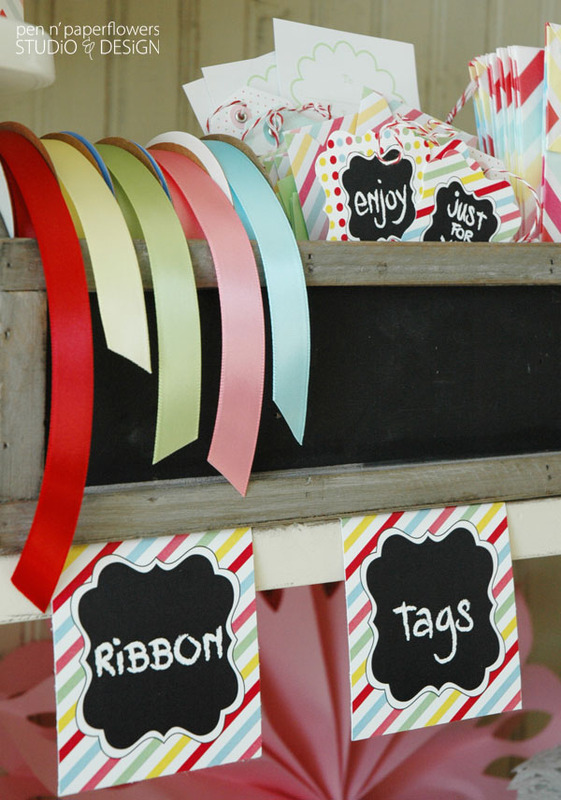 Using the fun, coordinating party supplies from The TomKat Studio made it super easy to put all of this together. were my inspiration for creating the entire printable collection that helped pull everything together. 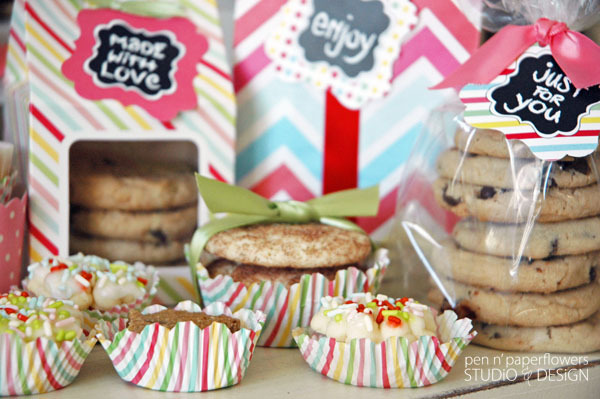 I hope I've inspired you to host your own cookie exchange this holiday season. which is all the more reason to take some time to connect with those we love. 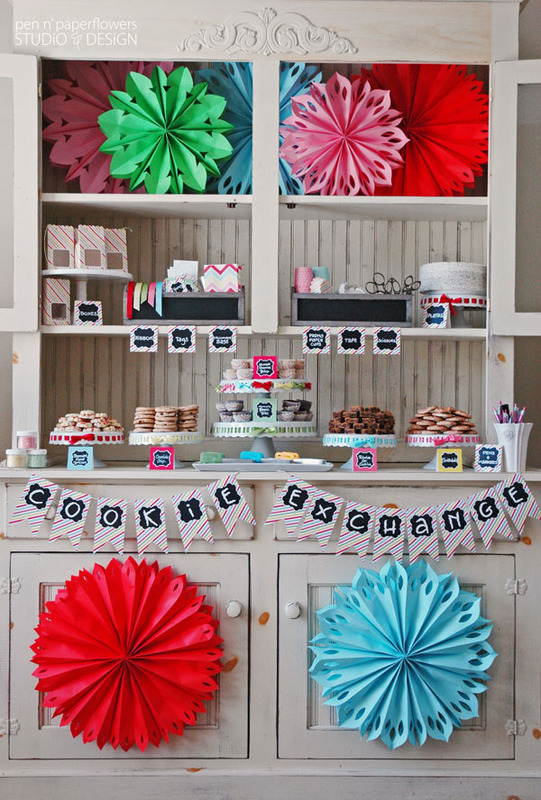 • Have each guest bring 1 dozen cookies for each person in attendance. 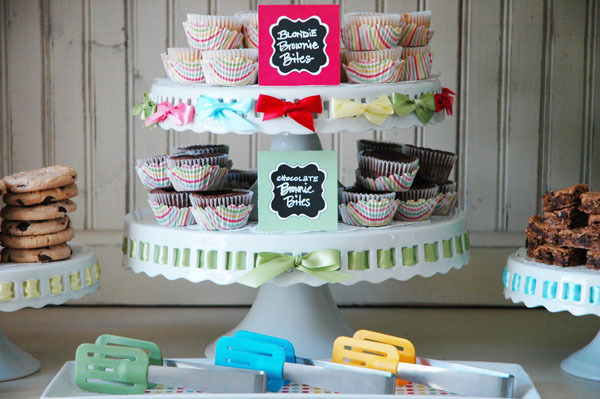 • Have serving vessels and cake plates ready for guests to easily add their cookies upon arrival. 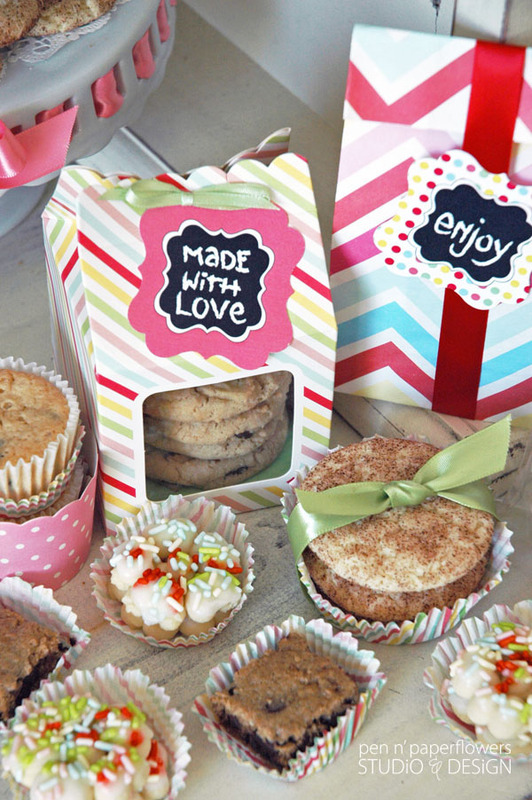 • Encourage guests to bring the recipe for the cookie they are bringing. 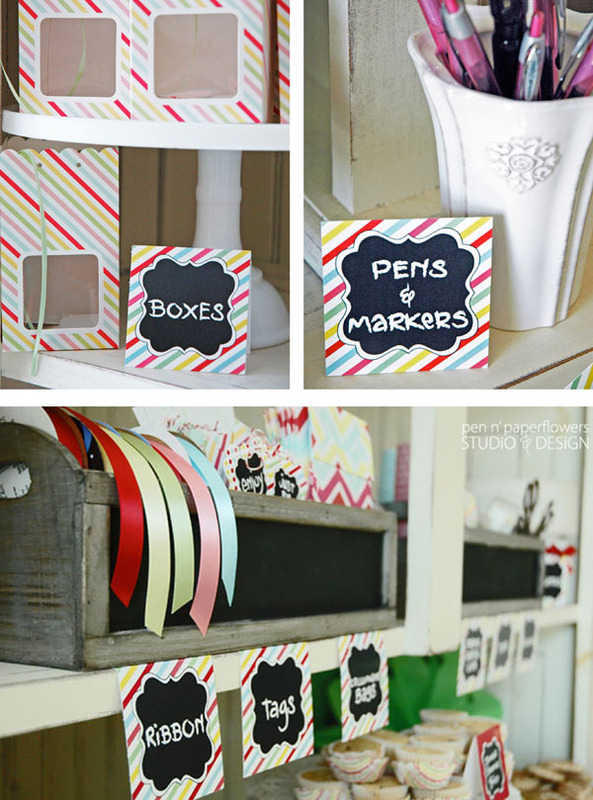 • Ask each guest to bring a spool or two of coordinating ribbon and a package of tape. 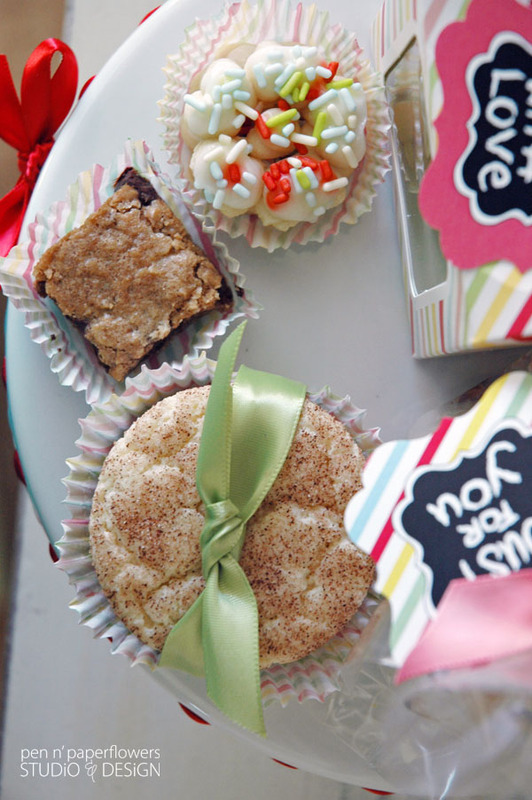 Make the Cookie Exchange (or Bake Sale) a contest. 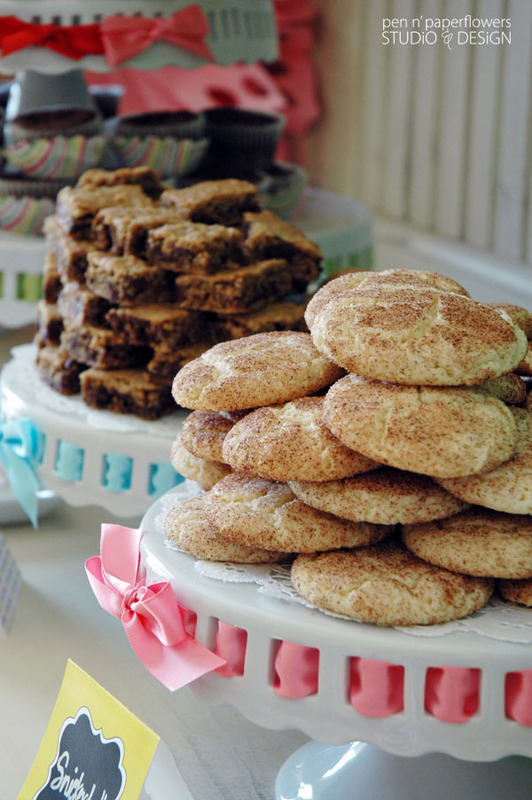 Number the cookies as they arrive and keep the identity of the baker a secret. 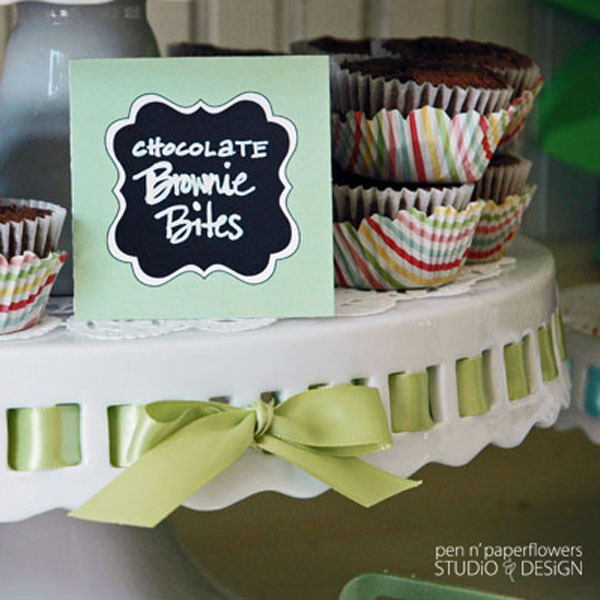 After the cookies are put on display, allow guests to sample each cookie and vote on their favorite. Reveal the baker associated with each cookie after voting has finished and the winner has been announced. 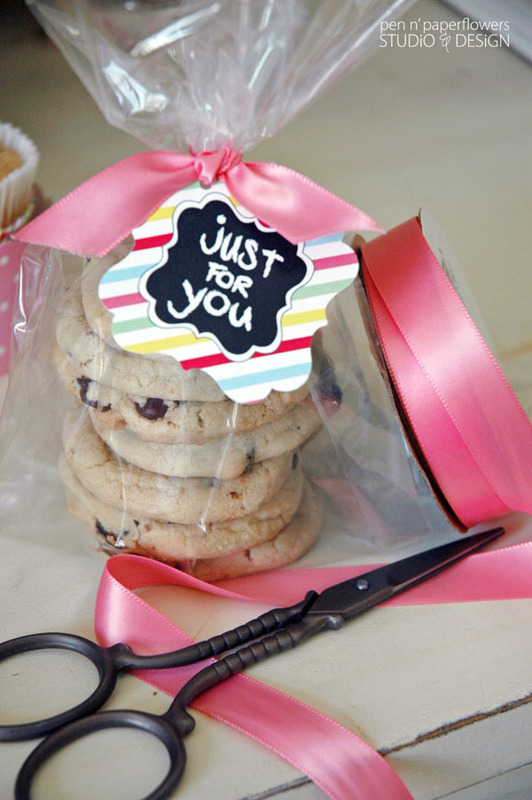 Proceed with packaging up the cookies for gift-giving. Present the winner with a gorgeous "Give" plate by Aedriel Originals - a beautiful gift that encourages filling the plate with treats/goodies, giving it as a gift and then having the receiver continue the cycle of giving. 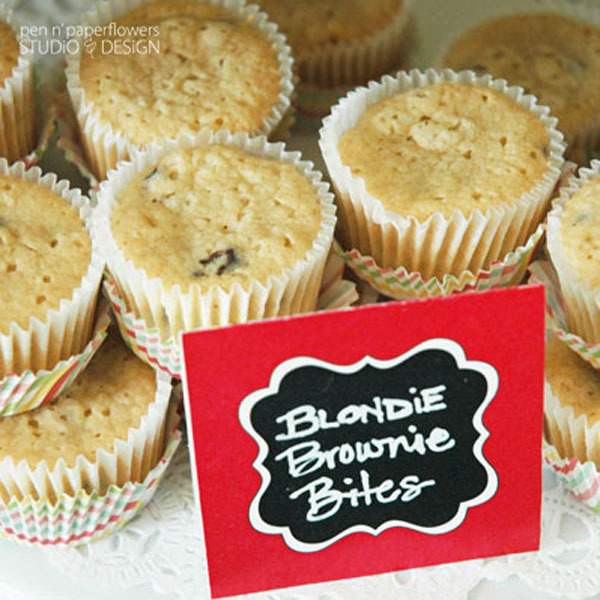 The printable Cookie Exchange/Bake Sale printables are now available for purchase in my shoppe. 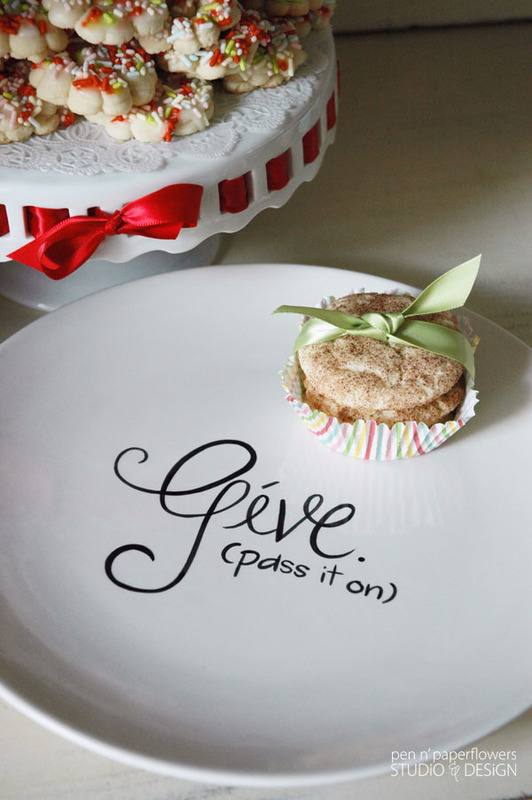 I ADORE the "Give" plate idea from Aedriel Originals so. much. But my Mom always told me it's the gifts you want to keep for yourself that make the best gifts. How lovely! I want to encourage all of your readers to take part in this type of activity! DO it with your family & friends. Make memories that all of you will cherish for a lifetime. 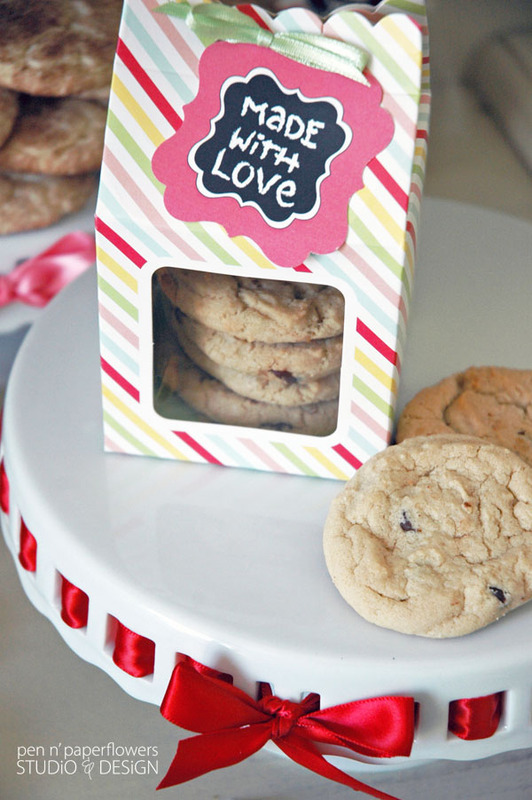 And, tuck a little note in with your cookies, telling those who receive them that you love them. I share this, because life can change so quickly. I would give anything to be able to take part in such a delightful event. I am not able to do these things due to health issues. I'm a wheelchair user and it's just not simple to take part in this type of activity. That & just plain old being too frail from having cancer treatments. Too many "bugs" and no immune system to fight them off! This is fabulous! 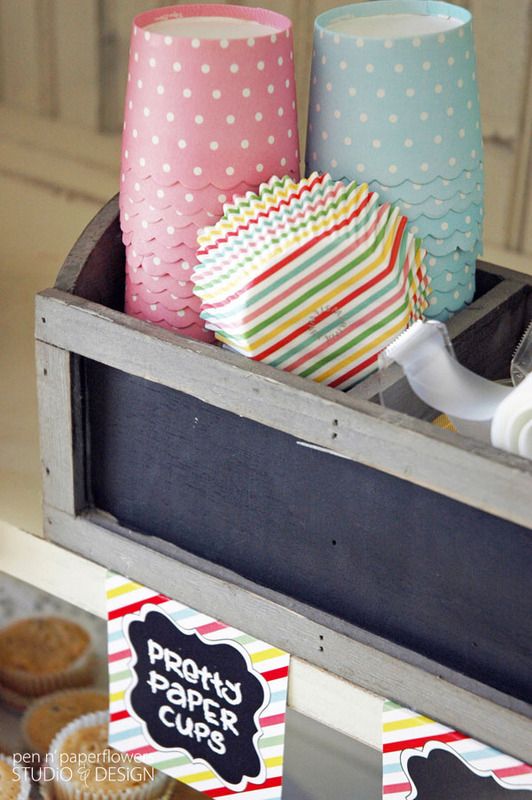 I've been thinking of hosting a cookie exchange and this may just be the inspiration I needed to do it!. I do have to ask...where on Earth did you get those fabulous scissors?! Jo's Corner - you are SO sweet to share your words of wisdom. I was touched by the things you said and I know there will be others who are too. My grandmother was in a wheelchair for most of my life. She was diagnosed with MS at 34. Having lived with her and my grandfather for a good chunk of my life, I'm well aware of the trials/struggles health issues can present. However, not having experienced those challenges personally, I'm also grateful for the reminders from others like you because it's so easy to forget what I learned and take for granted the little things - despite having grown up and witnessed the frustrations associated with health issues. I'm thrilled you asked about an online Cookie Exchange because at the beginning of December I will be participating in a Virtual Cookie Exchange with fellow bloggers and bakers. Watch for the announcement coming soon! Thanks again for reaching out. It means a lot. Many blessings to you and your family - now, through the holidays and in the many days ahead. Else - I'm so happy you loved the scissors. I actually found them on Ebay. Hope that helps...and thanks for taking the time to comment and reach out.